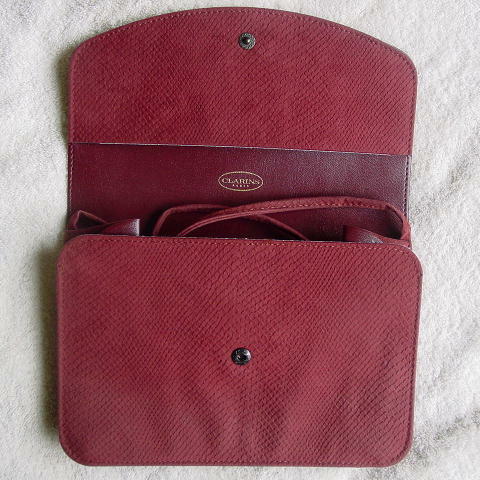 This vintage deep red-rust purse is by Clarins Paris. 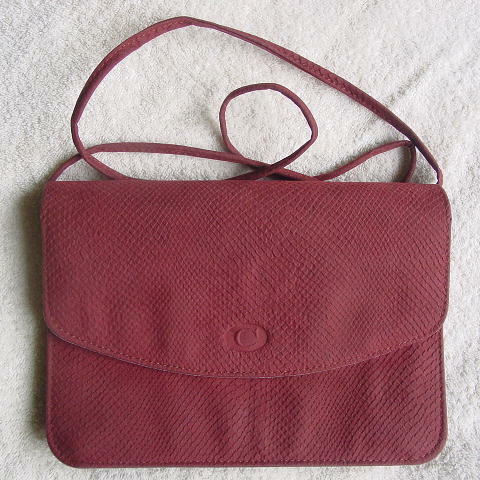 The interior is in a deep red leather and it has a fabric-like textured surface with a reptile pattern. It has an envelope styling with a 40" by 1/4" shoulder strap. You can tuck the strap in and cary it as a clutch. The hidden magnetic snap is behind the elevated logo C on the front flap. The interior picture shows the accurate color.